The Legend team can bag, box or package just about any imaginable product. Michael Cooper can’t help it if his office looks a little cluttered. Lining his jam-packed shelves are tubs, tubes, trays, cartons, bottles, packs, packets, pouches, wraps and scores of other colorful and super high-fidelity, gravure-printed and flexographic containers holding pastes, powders, liquids, gels, and a gazillion consumer products and foodstuffs ranging from noodles to nuts. 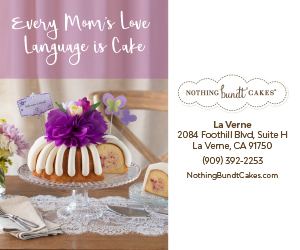 As the owner of the Legend Packaging Group in La Verne for the past quarter century, he knows precisely what package is absolutely the best possible container that will protect, preserve, transport and help market and sell its contents at the best price. His clients includes everyone from mom and pops who want to bring a product to market to corporate and retail heavyweights like Coca Cola, Odwalla, Gourmet Express, Whole Foods, Costco and Trader Joes, which are constantly fighting to expand market share. Cooper packs a punch with retailers because he’s part chemist, designer, machinist, environmentalist, and Harry Houdini. Indeed, in response to more stringent environmental laws here in California, he was a pioneer in the production of water-based labeling and packaging inks, hence, earning him the nickname, “The Legend, among his packaging peers, a name he later applied to his company. How did Cooper, now 65, become a legend? “I just outworked everybody,” Cooper said, hunkered down in his La Verne Arrow Ave office on a Tuesday in December. Behind him a schematic of a new Odwalla packaging label beams from his computer. In the mid 1960s after serving a two-year hitch in the National Guard, where he had been trained as a tank gunner, he chased a variety of odd jobs, loading rail cars, and working in a glass factory, an electronics store and several restaurant kitchens. “To be truthful, I have washed more dishes and bussed more tables than any illegal immigrant,” said Cooper, who grew up in West Covina. Then one day he stumbled into a printing plant. He finagled a job sweeping floors and slowly worked his way up through the ranks as press helper, pressman, lead man, foreman, superintendent, plant manager and finally vice president of manufacturing. Then he transitioned into sales. Every chance he got, he read books on printing, chemistry, graphics, engineering, sales and anything else that could help advance his career in the packaging field he loved. He stayed with the Vernon-based company for 10 years. He was practically running the place, but when it came for the owners to bring in a new partner, Cooper was overlooked. Michael Cooper and his CFO wife Denyse Cooper. Cooper went to work for a large integrated flexible packaging company (converter) before finally venturing out on his own. “I started out in the front room of my house in West Covina with a fax machine and phone and that was it,” Cooper said. “I damn near starved the first two years. I went from a high five-figure salary to $18,000 the first year. The second year I remember making $800 one month when I needed $2,200 to keep the lights on. After buying a home on Wheeler in La Verne and converting the extra garage into his home office, he noticed that the same architects who had done his home addition had put their Arrow office up for sale. In 1993, Cooper bought their place, including all the office equipment and furniture down to the pictures, plants and drafting tables. “I’ve been here ever since,” Cooper said. The Legend Packaging Group will give your product the right spin from concept to completion. 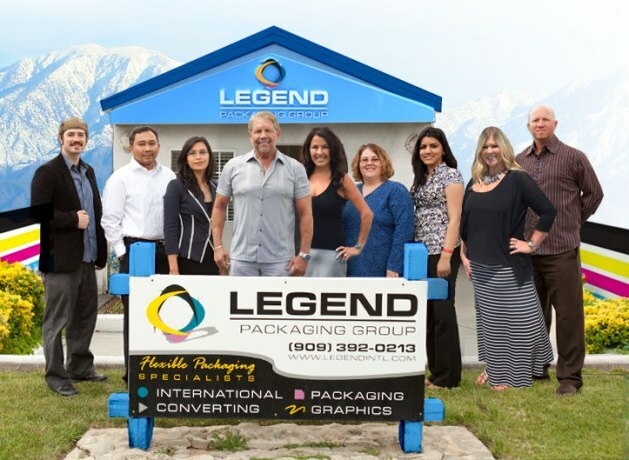 In the two decades since, Legend Packaging Group has expanded to nine employees and grown from a supplier of laminated rollstock and stand-up zipper pouches to a producer of just about anything that can squeezed into a container, package or vessel. 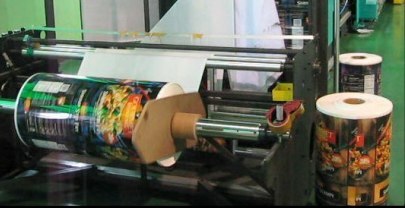 The company also specializes in roll-fed, full body shrink and pressure-sensitive labels. Because Cooper has so many years in the business and is so highly skilled, he has a keen eye for what will work and what won’t. Although he routinely works with some of the top packaging designers in the country, they usually defer to him when it comes to producing the final product. “I don’t care how pretty the design is, it still has to run on a particular form-and-fill machine at a high speed,” Cooper said. But few can marry form and function better than Cooper. For one, he’s a materials expert. As part of the new product development process, he’ll consider structural design, marketing, shelf life, quality assurance, logistics, environmental and a dozen other factors. One solution might require low-density polyethylene (PE-LD), commonly used to wrap bread and tortillas. Alternatively, he might select high-density polyethylene (PE-HD) if the solution calls for packaging that offers better resistance against moisture. Meanwhile, polypropylene (PP) provides even more moisture protection, but PP films and other heavier-gauge films are more expensive. Other packaging solutions might call for polyester on the outside and polyethylene on the inside. Because so many packaging products contain petroleum derivatives, Cooper chuckles every time he hears some uninformed person rail against the evils of oil and plastics. Cooper finds his business fascinating because it is so highly integrated. He is constantly trying to mix and match his product knowledge with customer needs, consumer preferences and market realities. At the same time, he has to keep up with ever evolving technologies. 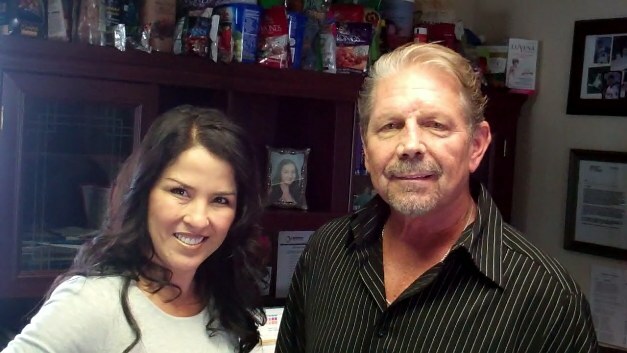 To continue being successful at what he does, which is producing containers that will ship, sell, and be safe and eye-catching on store shelves or in freezer sections, he has established contacts and relationships around the world from China and South Korea to La Verne, each possessing a particular expertise in the supply chain. Despite the challenges, he’s glad he stumbled into that printing plant a long time ago. “Packaging and graphics are the third largest business in the world,” Cooper said. “Wine bottles, blister packs of vitamins … everything you see comes in a doggone package. “The funny part is, from our standpoint, so much effort and works goes into it. From our customers’ standpoint, they want everything exact, as well. To learn more about Legend, visit www.legendintl.com or call 909.392.0213.